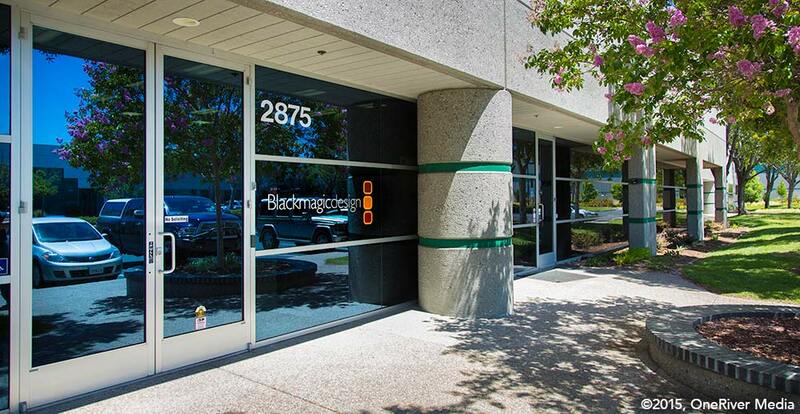 Blackmagic Forum • View topic - BMD NAB Rumors? Any ideas what new Cameras BMD will show at NAB this year, if any? Nearly have all the cash to buy an URSA Mini 4.6. But what if BMD decides to revisit the BMCC(v2). Love this little cam's image. All that's needed is higher frame rates (60fps+), at $3500. URSA Mini 4K's DR is just not very attractive for me right now. Old subject but, just curious. I would love a super 16 in a BMCC style body. A pocket with 2.5k or 3K would be nice. Howard L Hughes wrote: I would love a super 16 in a BMCC style body. A pocket with 2.5k or 3K would be nice. Super 16 would be nice! I'm going to guess there will be an "Ursa Micro" which will be 4k with active MFT mount. I would love to see something in the Pocket form with 4k though. I'd imagine the form would have to be like a larger mirrorless camera probably with increased power needs and media that can handle 4k CDNG recording. I want to see the original 2.5k sensor in the Ursa Mini body. Craig Seeman wrote: I'm going to guess there will be an "Ursa Micro" which will be 4k with active MFT mount. A pocket v2 with a 1.5 or 2k sensor would be amazing. How are any of these rumors? These seem more like wish lists than actual rumors. Rumors generally have tangible evidence to help support. Look at what you get right now with the iPhone 8 rumors. Those are rumors. These are not. Sorry to be curmudgeon, but semantics. Xavier Porter wrote: A pocket v2 with a 1.5 or 2k sensor would be amazing. You're in luck! The Pocket already has a 1.9K sensor. timbutt2 wrote: These seem more like wish lists than actual rumors...Sorry to be curmudgeon, but semantics. Speaking of being a curmudgeon: I wish we didn't have to do this same thread again every year! Me too, it becomes a great big "wish list" instead if actual rumors, which are very few when it comes to BM products. Zak, love yiurmslam dunk on the Pocket 1.9K sensor reply to requests for something they already have! But I have a wish list too. Now lads, play fair. Xavier may have been hoping to see a BMPCC/BMMCC sensor that shoots 2K, 2048x1152, or 2.5K like the BMCC. I assumed the "1.5K" was a typo. Okay, put your gloves back on and come out swinging! If you zoom in to the window on the far right and remove the reflections you can see the industrial design plans for the body of the Blackmagic camera(s) to be released at NAB. Ok so now it's a rumor. I think they are going to announce more things like the new Ultimate integration in Fusion and stand alone products and new Fairlight stuff, and more post production products. This is a wish but I hope they finally get in the game and come out with a monitor like Small HD did but a studio version so no need for rugged case. Last edited by Clayton Von Isaacs on Sun Apr 23, 2017 12:16 am, edited 1 time in total. Correct me if I'm wrong, but isn't that basically what the BMCC already is? I did't think the MFT platform covered a larger area than S16? I think the 2.5k sensor in the Pocket form factor would be fantastic! Just a reminder, the Pocket (and any HD 1080 camera) is already 1.98k. Maybe you meant 2.5k? That's what I'd like to see, put the BMCC 2.5k senior in a Pocket style form factor. My one wishlist item is still the 4.6K sensor in a BMCC/BMPC body. I just broke out the 2.5K to use as a B-Camera with the URSA Mini because the project was 1080 resolution. I used it with the internal battery for a few handheld shots and was reminded of how nice that was for a few quick close-ups of some objects for B-Roll. I really would love for the 4.6K sensor and color science to make it easier and quicker matching when it's a B-Camera to the URSA Mini. That, and Crash Cam capabilities. A lot of the things I did with it can be done with a URSA Mini sure, but that body has a lot of convenience that I was recently reminded of. So, I'm continuing to push for the BMCC/BMPC body with the 4.6K Sensor, the CFast 2.0 Card Recording Architecture, Improved External Connections, and Improved LCD. This is simply because there was something wonderful I felt when I first got the 2.5K, and taking it out today made me realize that. I, of course, prefer the URSA Mini for all the improvements. However, the BMCC body with a lens being all that I needed to do some quick shots was really nice. Dave, the MFT format covers a sensor area up to Std. Academy 35mm format. But as you pointed out, the BMCC sensor is only a little larger than the Pocket camera, and HD on the 2.5K is down sampled from the larger sensor area, giving better image details. Otherwise, the two look very close to each other. I like the IQ from the 2.5K sensor, but it has the slowest sensor readout times of the lot. I would rather see a newer, faster BMCC type sensor, with the same IQ but a faster read out time or GS. Denny Smith wrote: Dave, the MFT format covers a sensor area up to Std. Academy 35mm format. But as you pointed out, the BMCC sensor is only a little larger than the Pocket camera, and HD on the 2.5K is down sampled from the larger sensor area, giving better image details. Otherwise, the two look very close to each other. Told you guys a new camera was coming. The Pocket has a sensor size that's close to Super 16, but it uses the MFT mount. The MFT mount is designed for a larger sensor size though, somewhere between super 35 and super 16. The original BMCC is pretty close to the MFT mount sensor size. I prefer the Super 16 look overall but to put that into a BMCC would be a bit better for me. you would gain SDI, 1/4 audio inputs, i'm happy with using sd cards. but to be able to shoot at 2.5k or 3k would give just enough room for camera shakes or some post camera movements. with the super 16 there is less shallow depth of field which i prefer a bit. I know i might as well get a BMCC. at the and still today i like smaller packages but i may have to look back at the BMCC overall for a 2nd camera. there are no perfect cameras and yes i can live with the BMCC. just hoping BMD does some tinkering. The BMCC sensor is just slightly larger than the Pocket camera, to get the 2.5K, compared to the 1.9/2K resolution of the Pocket/Micro S16 sensor. They both share a close close IQ, with the BMCC giving a little bit better fine detail resolution due to the slightly larger sensor. If you want to keep the Pocket camera compact size, and S16 IQ look, but add a bigger monitor and improved mic preamps with XLR connections, look at the Micro Studio camera paired with the new Video Assist 4K monitor/recorder. Use the VA to record the image from the camera (ProRes or DNx only, no Raw) with sync'd improved audio. If you want Raw p, yiumcan record Raw in camera, and ProRes proxy with the audio track in the VA, and line them up in Resolve or another NLE to syn'd the VA audio track with the raw camera recording. Also, the Micro camera has better audio suport /preamps, and yiumcan get good sounding audio from it, when you use a good preamp and mic. The advs together of going to the Micro Cinema camera is a faster sensor readout time, so you get 1080p60, or Raw at 60fps, and better controlled alaising/RS shutter artifacts. Or just get the BMCC, but you still are going to need a good mic preamp with the BMCC, it has the same audio issues as the Pocket camera. 2.5K sensor in UMPro body. BMPC with 4,6K sensor EF mount. The BMPC is dead, discontinued. The BMPC fan is also too small for the cooling a 4.6 sensor. The only cameras with a 4.6 sensor are the Ursa Mini and Ursa Mini Pro, with a possible Ursa (big version) 4.6K camera in the works. A new smaller 4K camera may emerge, but the Ursa Mini is about as small a formfactor, as you are going to get the current 4.6K sensor into. Last edited by Denny Smith on Mon May 01, 2017 12:27 am, edited 1 time in total. Yes, yes the original two camera, BMCC and BMPC are EoL, RIP, long live the Pocket camera! Will black magic design still offer support for the black magic production camera even though it's at the end of life? They are currently, the Production camera just had a firmware update last month. 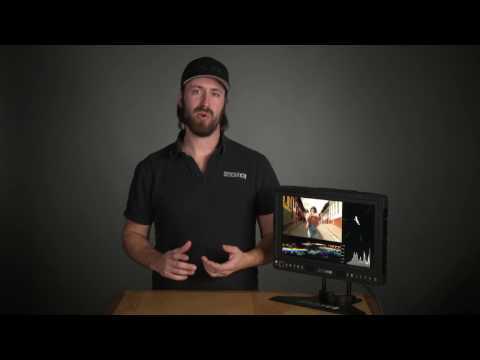 They are just not making any new BMCC or BMPCs anymore, replaced by the Ursa Mini line. Location Sound Recordist, in Auckland New Zealand. 4/3" is notably bigger than S16! And Micro Four Thirds mount can even support APS-C / Super 35 sensors in it (as done with the JVC LS300 camcorder). I hope that the smaller 4K camera that may be in development that is not of the URSA line has the same sensor as the Blackmagic Production Camera. So doubt it would be used in a smaller camera. The Micro Studio 4K sensor is nice, but lacks the film look and dynamic range of Pocket camera. BM is waiting on a yet to be released new 4K sensor that will match the current 2K sensor. No, I doubt it (the current 2K sensor in the BMCC is not S35, or even Standard 35mmsize, it is smaller than a MFT sensor), as they already have the Ursa Mini and UM Pro, both of which are the BM flagship S35 size sensor cameras. The bigger the sensor, the bigger the cooling system and the bigger the camera to hold it all, a new BM Pocket camera if and when one is released, will be either S16 or slightly larger, but no larger than MFT. After all it will be a "Pocket" camera! Last edited by Denny Smith on Tue Nov 14, 2017 6:52 pm, edited 2 times in total. I truly love Blackmagicdesign! However, I feel like the latest Ursa line is more like a glorified camcorder and less cinematic than the previous BMCC/BMPC4K. Does anyone else feel this way? I am in the market to upgrade from my BMCC to a 4K camera. I may have to go with the discontinued BMPC4K. The large Ursa is anything but a “glorified camcorder”! Have you seen one up close, it is every bit a Cinematography Camera, just not a modular one like Red or Arri, but more of an integrated design, with three camera operator positions, so you can have a focus puller and Audio 2nd AC in addition to 1AC running the camera. The Ursa Mini and UM Pro however are scaled down in size, and is more the size of an ENG Camera but the new 4.6 is all Cinematography IQ wise. The original UM 4.6 retains the features of the bigger Ursa, minus the left right hand audio monitor position, while the UM Pro has more of an ENG camera functionality in its work flow. This gives you a choice. I think the Panny EVA-1could Be described as being more camcorder like in size and functionality. Last edited by Denny Smith on Wed Feb 27, 2019 2:08 am, edited 1 time in total.